The Kansas City Casino scene has really fired up! 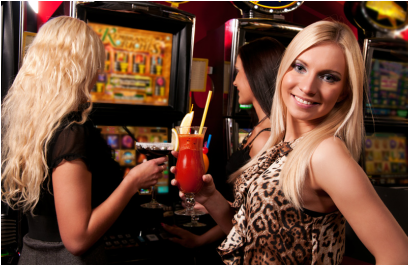 If you want to make your next visit to the Casinos a sure bet, ask for vehicle service from Overland Park Limo Service with one of our classy stretch limousines! With so many Casinos in our midst, it is hard not to notice the flow of money thru those doors! You know that wherever you see money flowing, you will also find a group of lovely limousines. When you pull up to the Casino in one of our rides, you will feel like the Player that you are. Let confidence exude. Let those around you gawk. Let them see you for what you are, someone who is about to WIN BIG. In our eyes, you've already won. We will pick you up in one of our gorgeous rides. Rather than sweat thru the cutthroat traffic, you will get the opportunity to enjoy yourself in the spacious interior of one of our luxurious limos. Kick back and relax. Pour a glass and take a long sip. Let the stress and worries of the week slip away as you sink in to the state of relaxation you have been longing for. As we pull up, you won't have a worry in the world. Tension gone, muscles relaxed, brain quiet. Now, you can think. You can process your game. You can win! So, all that's left is for you to choose where you want to be the High Roller, and book your lavishly appointed limousine with Overland Park Limo Service! Call 913-956-0088 today!